We all want our houses to be clean and tidy for our families. Unfortunately, a lot of the cleaners sold today are not only overpriced, but they also contain ingredients that might not be safe. Cleaning the house is great, but not when it requires spreading toxins around. 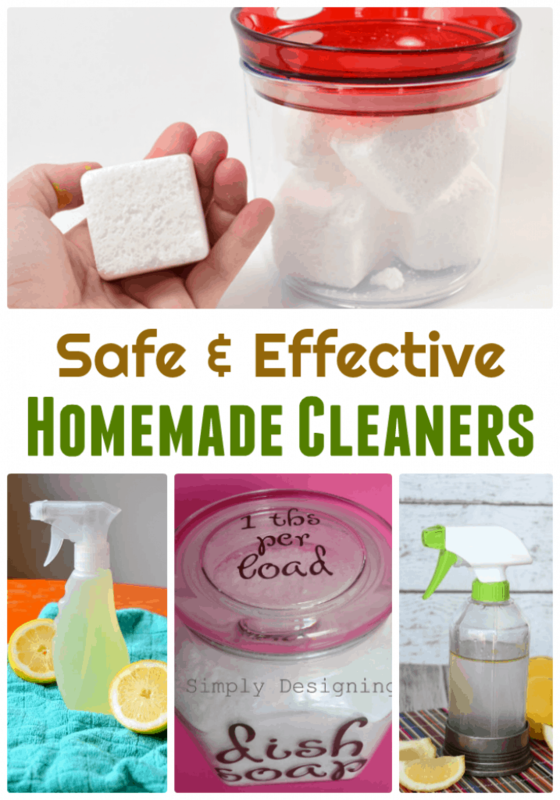 I’ve collected some lovely ideas for safe and effective cleaners that you can make at home. You may be surprised to find that you have many, if not most, of the ingredients in your home already. From vinegar to baking soda to ways you can use dish soap to clean a lot more than dishes – there are some great ideas here! Cleaning our homes without toxins is not only better for your family. It is better for the environment. And if that isn’t enough of a reason for you, it is also a lot better for your pocketbook. Cleaning with simple, natural ingredients can save you a ton of money! So, why not try a few ideas today? Click on the links below to learn more about these easy to make non-toxic cleaners. Don’t forget to leave a comment while you are checking out the tutorials to let my friends know you found them at Jayandel! So with all these ideas, you now know that you can save money and make your own home cleaners that are toxin-free. So give them a try and let me know what you think! Now, If you have any questions about these, please comment down below, I’d love to help you out!